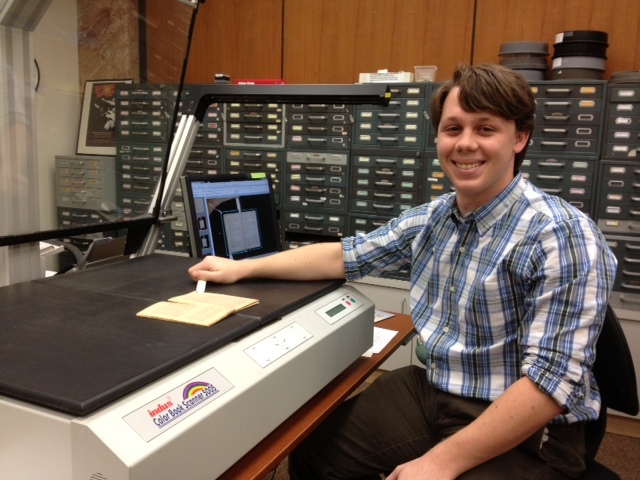 A few weeks ago, Conor Hafertepe became our first Digital Humanities Intern. Conor is from Media, PA, and he is currently a senior at Temple University, where he is majoring in Film & Media Arts. After graduating in May, he plans to teach English abroad for the next year or two, before applying to graduate programs in the digital humanities. 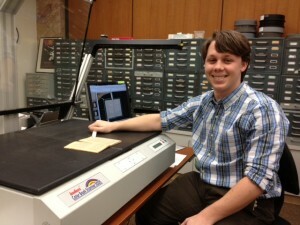 Conor scanning a book for our dime novel collection. During the past year, Conor has been working on two digital humanities projects. He conducted independent research on “digital authorship,” especially with regard to Twitter, and he will be presenting his findings at the Re:Humanities Conference in April. In addition, Conor is working with Dr. Roderick Coover on Estuary, a project for the Chemical Heritage Foundation that looks at the Delaware River region in the age of climate change. Here at Aurelius, Conor is learning about digital humanities in an academic library environment and helping to further establish our fledgling program. He is assisting with the digitization of the dime novel collection for Falvey Memorial Library’s Special Collections and Digital Library as well as processing some of the digitized works for our Project Gutenberg proofreading project. He is also working on our dime novel bibliography project. Yeni Cami mosque and Eminönü bazaar, ca. 1890s. 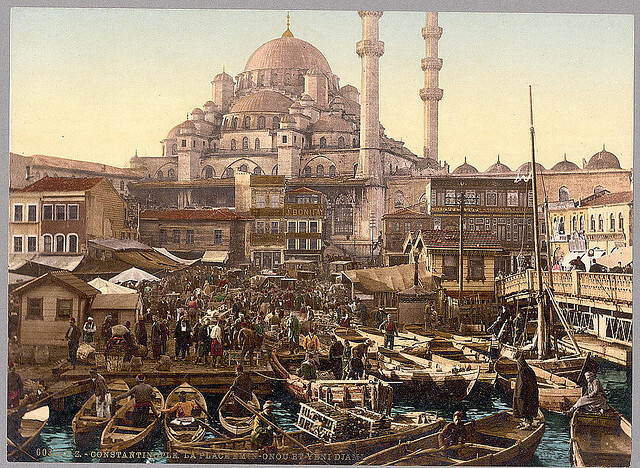 Photo from the Library of Congress on Flickr.